It’s beginning to look a lot like Christmas at Disneyland! Well, actually, the holidays at Disneyland are already in full swing (and not just Christmas). Here at Disneyland with Kids, we want you to be prepared for all the magical holiday moments you will find at the Disneyland Resort. The four co-founders of Disneyland with Kids headed off to Disneyland earlier in November to learn all about the Holidays and we are here to help you with planning your Christmas at Disneyland with Kids. Disclaimer: We were invited to Disneyland Resort as their guests to cover all things Holiday. All opinions are our own. When is Christmas At Disneyland Celebrated? 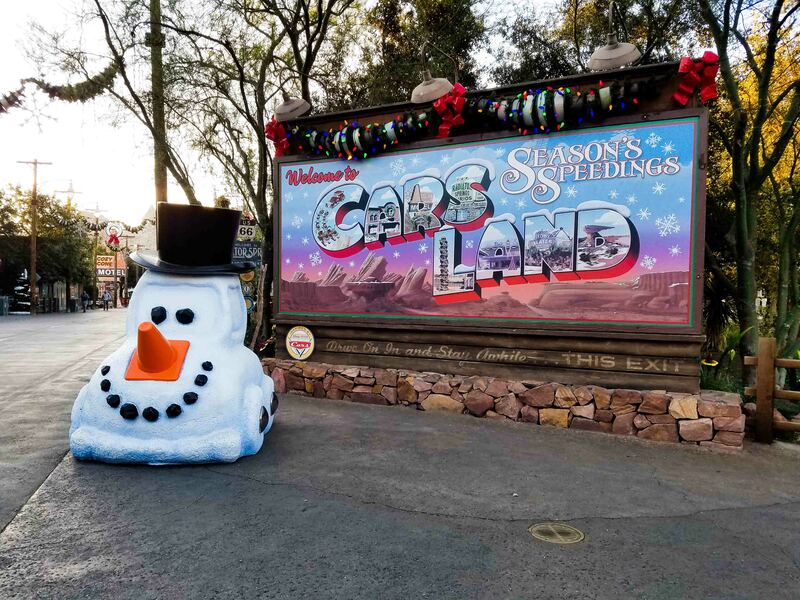 The Holidays, including Christmas, at Disneyland are celebrated from November 9, 2018 to January 6, 2019 with Festival of Holidays at Disney California Adventure extending a couple extra days to January 8, 2019. 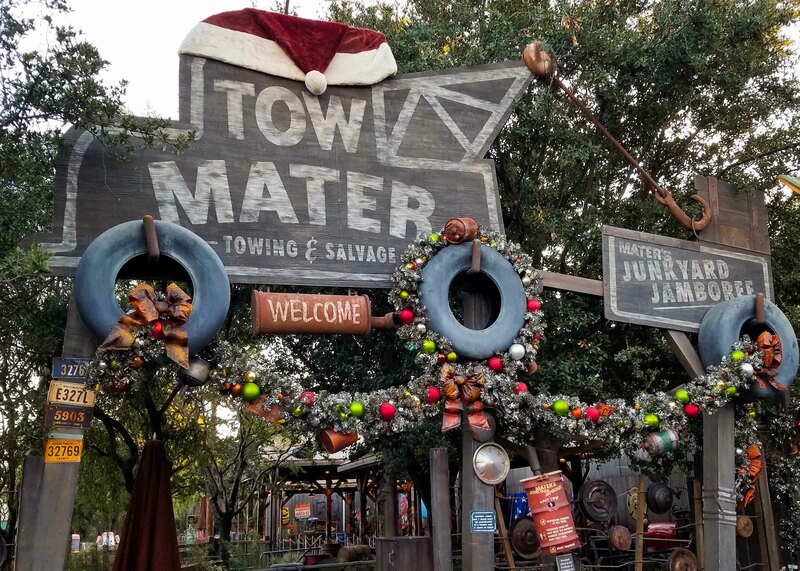 During this time you can find Holiday decor, special shows and fireworks, meet Santa, and even find special versions of your favorite rides. Is it crowded at Christmas at Disneyland? A lot of people are worried about the crowds when they are spending Christmas time at Disneyland. Yes, the parks can get pretty crowded during your visit if you go during Thanksgiving or Christmas break, but the crowds can be quite mild during the first few weeks of December. Even with the crowds it is still possible to enjoy Disneyland at Christmas if you have all the best info. Our co-founders, myself included, have the answers to questions about Christmas at Disneyland. If you want answers to your specific questions, be sure to join the Disneyland with Kids Facebook group or pick up a copy of the Disneyland with Kids eBook, where we share all our best tips. But the basic answer is, yes, it can get crowded, but it is still possible to have a lot of fun. A crowded day at Disneyland is better than no day at Disneyland, right? 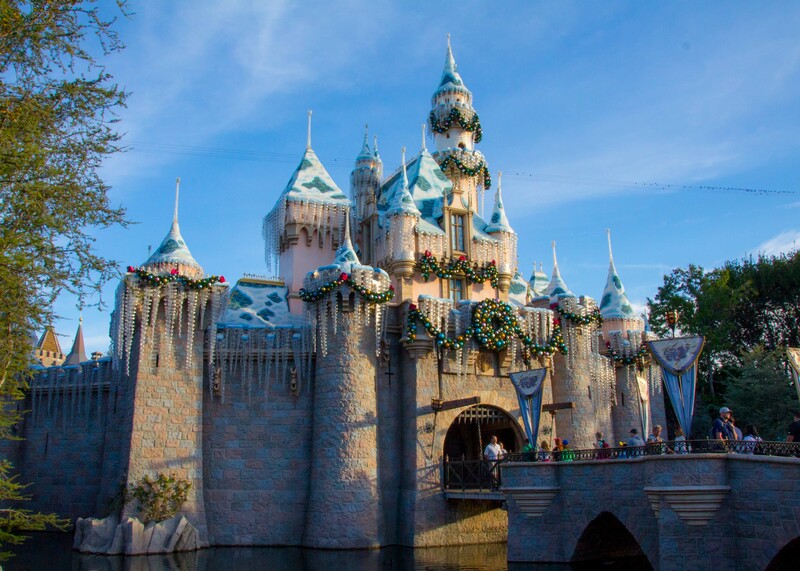 What is so special about Disneyland during the Holidays? What isn’t? Seriously, the Holidays at Disneyland resort are pretty darn magical. You walk into the parks and it puts you in the Holiday Spirit. 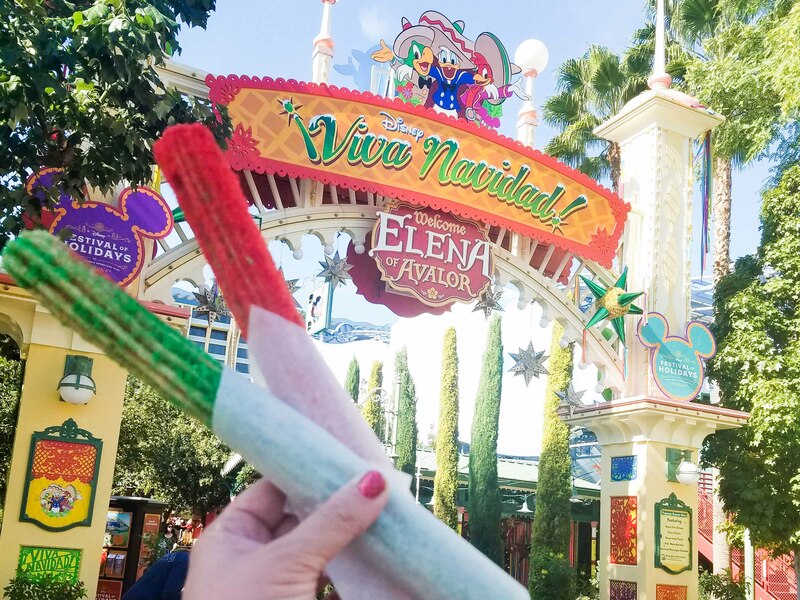 Festival of Holidays Marketplace – Disney foodies rejoice! This is every foodies dream. You can check out foods that celebrate all different Holidays in Paradise Garden Park at Disney California Adventure. From sweet treats (there are 75 of them through out Disneyland Resort) to spicy offerings and more. All the decor – Disney knows how to go all out with their decor. There are magical touches through out the resort, and the decorations in each land stay true to the feeling of the land. In Critter Country you find garland made with fruit and pine cones, where as Main Street, U.S.A. has victorian style decorations. I got to interview some cast members from the Resort Enhancement Team about the decorations this year. It was really cool to learn about how each land’s decoration are special to the theming of the area. Will the characters be all dressed up? Where can we meet Santa? A lot of people want to know if the characters will be all dressed up at Disneyland. The answer is some will. If you are on Main Street, U.S.A. you are likely to find characters in their Holiday attire. I also quickly spotted Winnie the Pooh in a Santa Hat in Critter Country. But maybe you do not want to meet characters in their Holiday attire. Don’t worry, you can find that too. In fact, there is a great mix of characters in Holiday attire, and in their normal attire throughout the resort. And of course, Christmas at Disneyland would not be complete with out a visit with Santa. 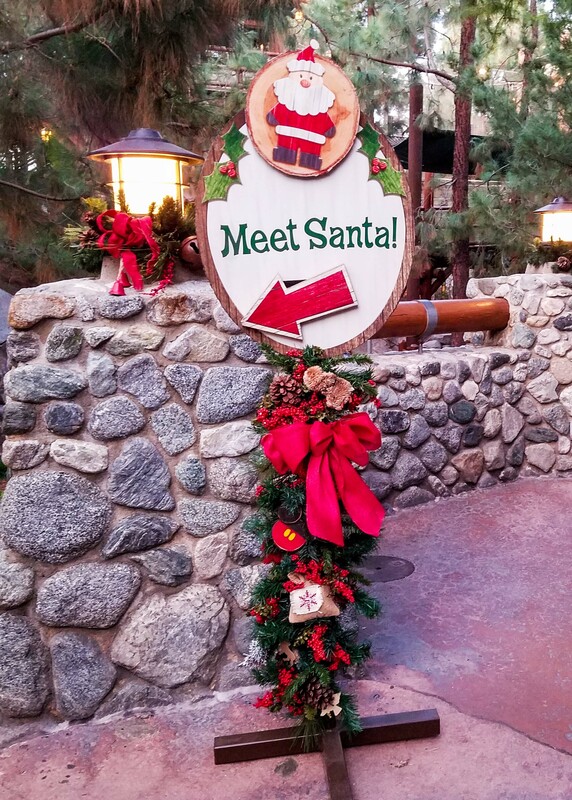 You can find Santa both in Disneyland’s Critter Country near Pooh’s Corner, and in Disney California Adventure at the Redwood Creek Challenge Trail. I personally prefer the DCA option. You may also be able to find him at some of the Disney Hotel’s so check with the front desk. Any tips for Christmas at Disneyland with Kids? Of course, our founders are full of tips for Christmas at Disneyland! While it would be almost impossible to list all the things in one article, I can give you our top tips. 1. Be sure to maximize early park hours. The park can get crowded, but even on the most crowded days, you can get a lot done during those first few hours in the park. Be at the gate 45 minutes to one hour before park opening, or at least 45 minutes before Magic Morning or Extra Magic Hour. Hit up Fantasyland first if you have little kids. Normally, at Disneyland with Kids, we will suggest a mid-day break back at the hotel where you can nap or swim. However, if you are visiting during Christmas/Winter Break, the park may reach capacity, which means you may not be able to re-enter Disneyland. 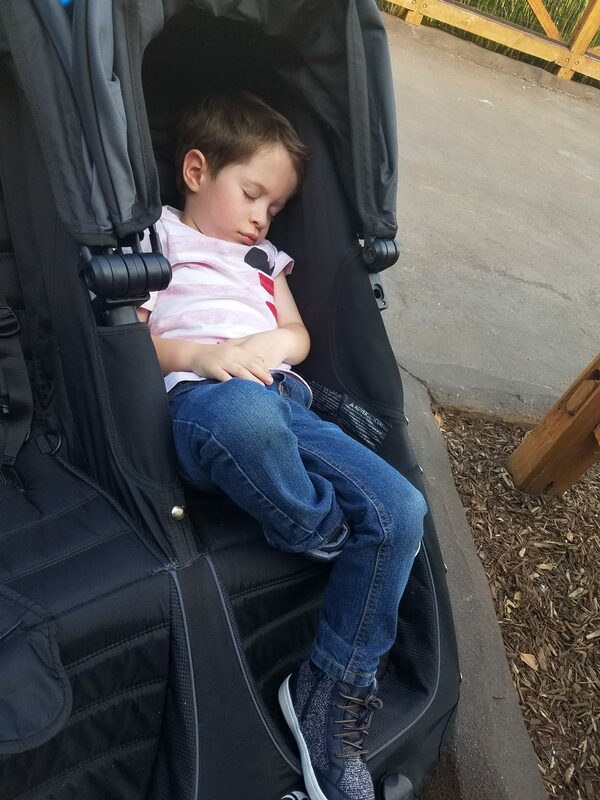 We suggest finding a quite place to rest in the park and letting kids nap in the stroller if needed. Our Facebook group members have TONS of tips for quiet spots to take breaks. Disney has a free Fastpass service, or a paid MaxPass service. This service allows you to get a return time for popular rides, and then during that time, access a shorter line so you are not waiting 70 minutes to ride Haunted Mansion Holiday. Be sure to keep your family fed and hydrated. Maybe that is bringing in some of your own snacks, or maybe it is eating all of the Holiday Churros at Disneyland (like my family did), but keeping kids fed and hydrated will help keep meltdowns at bay. Here at Disneyland with Kids we always suggest going to Disneyland for a minimum of 3 days. First, because 3 days gets off-site guests one Magic Morning Entry, but also because it gives you time to take everything in at your child’s pace. And let me tell you, there is a lot to take in, especially at Christmas time at Disneyland. Here at Disneyland with Kids we know that families are often on a budget. That is why we suggest buying your tickets and booking your packages through our partners at Get Away Today. They have tickets for cheaper than Disneyland’s gate prices, plus amazing hotel deals that often include free nights. If you book via the link on this page, use code DisneyKids to save an extra $10 on packages of 2+ nights. Becca has been going to Disneyland since her own childhodd, but really fell in love with the magic after taking her oldest child when he was ten months. She goes to the parks two to three times per year with her eight-year-old and twin three-year-old boys. Becca has experience using the DAS, Rider Switch Pass, Stroller as a Wheelchair tag, and more. When not at Disneyland, she enjoys hiking, photography, and being crafty. Becca blogs at This Crazy Adventure Called Life.